Home Tags Posts tagged with "dimaria"
LA MOSCA IN CAMPO. MONDIALI, I 10 CALCIATORI PIU’ BRUTTI. 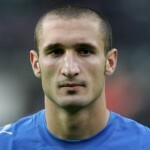 C’E’ ANCHE CHIELLINI.